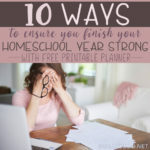 Do your kids use a homeschool planner? 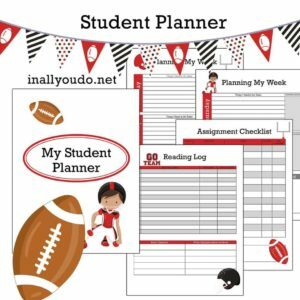 My kids are not required to keep a planner until they enter Middle School, however, I introduce them to the idea starting in 2nd or 3rd grade. 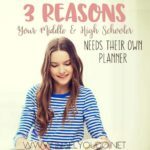 In my opinion, this is perfect timing to help them learn and grow in to using a planner on their own. I love using a planner for myself, so teaching my children to keep their own is somewhat a right of passage in my book. Of course, for their elementary years I still keep track of their assignments in my planner, just as a precaution and to double check we didn’t miss anything. But, having them track their own assignments can help them take responsibility for the work. It also makes them realize that their actions have consequences, so if they skip a day (or three) of one subject (*ahem* math), they quickly see how they have to make it up by the end of the week, or term period. 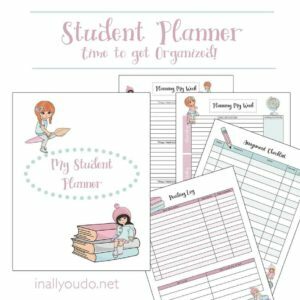 Even though I keep a calendar of all our schoolwork, I want my kids to learn how to organize on their own as well. From an early age, we try to teach our children how to manage their time. It isn’t always easy, but with consistency and practice, they eventually figure out there are consequences when they do not complete their schoolwork on time. After a few consequences, they usually see the value of keeping their own planner. However, there are several benefits to them having a planner for themselves. First, they learn time management. Second, they can visually see their assignments. Third, they learn how to block off time, subjects and even create their own routine to help them best complete their assignments. These two pages are perfect for kids to list out their daily assignments yet see them at a glace for the entire week. While I prefer to do each subject daily, some kids may find it easier to focus on one or two subjects each day and complete their weekly assignments in that manner. There are eight lines per day, which should give them plenty of room to write each assignment. Each day also has a box where they can record something they learned that day. This is a great way to help them reflect on their reading or assignments and track the new facts they learned. At the bottom of the second page, there are two large boxes for the student to write out goals they have for the week and things to remember. 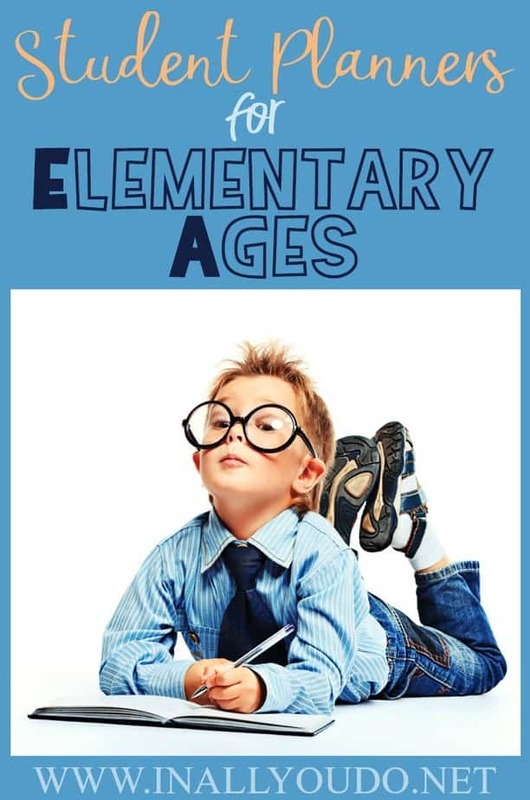 Their goals can be anything from completing all assignments without being asked to completing them in a certain time-frame to reading a set number of extra pages in a book they chose from the library. The “To Remember” box is perfect for assignments or projects they need to complete over the weekend or move to the next week. Students can use this page in one of two ways. Either as a quick reference for weekly assignments or as a running list of assignments that might be due later. In college I used to make a running list of all my assignments in due date order. This allowed me to not only see them at-a-glance, but also prioritize what I needed to work on when. This is a great way to help your student(s) learn how to set their priorities when they have multiple projects or assignments due later, such as a report, rather than the day they were assigned, such as math problems. Whether you do reading challenges with your kids or they just love to read, this page is a great place to record the books they’ve read. There is also a section for them to record books they enjoyed and what they enjoyed about them. 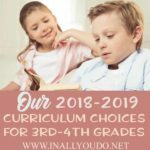 You can use this section to help prompt a book report or to find books in the same genre, or help them expand their reading culture, should they always choose the same genre. 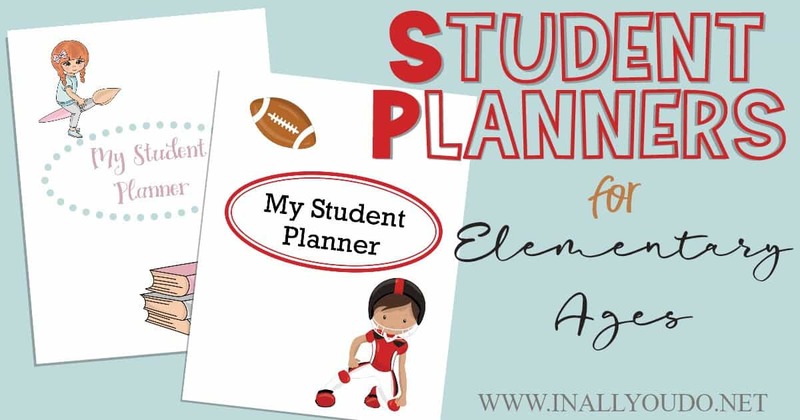 We have two different planners for your students to choose from – boys theme and a girls theme. The boys theme is football, so if your girls like football (like my oldest daughter), they may be more interested in this option. The girls theme is soft, pastel colors with adorable little girls throughout. 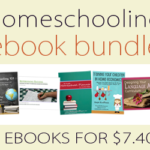 Homeschooling 5 eBook Bundle only $7.40!!! !